1.- Granted legal personality to the entity named "SOCIEDAD CHILENA DE evolution", residing in the province of Santiago, Santiago metropolitan region. It has to govern the aforementioned entity, under the terms of which the public deeds of dates testify 14 March, 14 of August and 22 November of 2007, 19 March and 17 November of 2008 and 6 in January of 2009, granted before the notary public of Santiago, Don Raúl Undurraga Laso, the first, the fourth, the fifth and sixth and don Enrique Mira Gazmuri, alternate owner don Raúl Undurraga Laso, the second and third. similar domestic and foreign in any operation that refers to the prosperity of the activities of the Corporation. c) Disclose the interesting research carried out through publications or in other manner, their results and projections. scientific work in Chile, and disseminate an internal newsletter that serve as an organ of communication between partners, that will be announced of the society and other related activities. regulations, programs and regulations that favour the development of research and teaching in the field of evolutionary biology or protect its achievements. f) Advise on educational and other fields related to evolutionary biology to the entities that request it. fees; c) Corresponding; d)collaborators, and e) students. I am a student, research or teaching in the field of evolutionary biology, that you have been accepted in this capacity by the directory, with the favorable vote of two-thirds of the session attendees, on written request of the applicant to partner or at the invitation of the directory. The full member has the fullness of the rights and obligations provided for in this Statute. 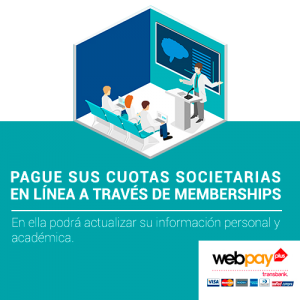 To maintain active membership will need to be up to date in the payment of social contributions. or of the members of the Board, with the favorable vote of two-thirds at least of meeting attendees, This matter concerned on whose table, and that creditors to the distinction made by its relevant track record in the field of evolutionary biology, and that they have achieved the recognition of the scientific community. They do not have to pay social contributions. What, meeting the conditions required for membership holder, domiciled outside the country and they are appointed in that capacity by the Board of Directors, with the favorable vote of two-thirds at least of the respective session attendees. Titular members who relocate their domicile overseas will automatically acquire the quality of corresponding partners. In the same way, corresponding members who are domiciled in the country will acquire automatically the quality of titular members. Article ten: Are natural or legal persons that permanently help the Corporation with money partners partners, goods or services. Partner designation will be made by the Board of the Corporation with the favorable vote of two-thirds at least of the respective session attendees. students must prove their quality of such. A graduate student may, However, request for written media along with the sending of your resume, He joined the Corporation as a Titular member or correspondent, that will be resolved by the Board of Directors, with the favorable vote of two-thirds, at least, of the respective session attendees. agreements adopted by the General Assembly or the directory; c) Collaborate in the tasks entrusted to them; d) Attend the meetings to be convened according to the statutes; e) actively participate in the activities planned by the society, as Congress, courses and conferences. Partners fees shall be expressly exempted from obligations in respect of the Corporation. concur with right to speak and vote at meetings of the Corporation, choose and be chosen to serve in positions and will be the only ones considered for the purposes of quorum. Corresponding members, cooperators and students will be attended by only entitled to voice. Tenth Article four: Active membership is lost by the following reasons: to) By written resignation submitted to the directory; b) By death; and (c)) Ejective agreed by the Board of Directors, in form and founded on the grounds that are designated in the eighth title. Fifth tenth article: The members of the society in mora or simple delay in the payment of its ordinary or extraordinary membership fees for more than one year, They shall be temporarily suspended all rights and benefits that give them the statutes, to the payment of debts. TITLE THIRD: Of general meetings. Tenth Article six: The General Assembly is the highest society authority and represents all its members. Their agreements oblige all members present and absent, provided that they had been adopted in the form established in the statutes and are not contrary to the law or regulations. Participate in general meetings, with the right to speak and vote, Active members and fees. Tenth article seven: There will be regular and extraordinary general meetings. The first will be held once a year. Extraordinary general meetings shall be held whenever the interests of society so require or required by the statutes. The first will be cited by the President, at the opportunity when appropriate; and the second, they will be cited by the Board of Directors, proposition of the President or by written request of, at least, one-third of active and honorary members, who in your request should indicate the reason for the call. In the latter case, the extraordinary Assembly must be cited within one period not exceeding fifteen days, Since is convey to the President the request and met the quorum of signatures. Eighth tenth article: At the ordinary general assemblies, the Chairman of the Board, on behalf of this, you will notice the progress of society, and must submit a report and balance of the period of the previous year. In this same General Assembly will proceed to the election of the new directory, two inspectors account and three members of the Ethics Commission, When is this. Accounts Inspector and member of the Ethics Commission are incompatible each other. In addition any matter that may be of interest to the society you can be treated, unless your knowledge is delivered to the extraordinary General Assembly. Ninth tenth article: At the extraordinary general assemblies matters object of the call may only be treated. Any agreement adopted in contravention of this rule is null. Assembly subsequently cited and have designed meet the same materials will, in any case, the character of ordinary. Directory, and in the absence of this, by a member appointed by the Assembly. ordinary mail, addressed to the address or address that the Member has registered in the society, in one term not less than ten nor more than twenty days prior to the date of the meeting. When due to lack of quorum does not effect the General Assembly to take, a second subpoena shall be made, for a different day, within the thirty days following the date of the first, Noting the same formalities. The letter should include the table of contents for trying, and the place, date and time of the Assembly. Citations by email will have no legal validity and will serve only as a means to facilitate communication among partners. not the first to take effect. formed when them come the absolute majority of active and honorary members. If you do not meet the necessary quorum, will be record this fact in the minutes and will be convened to the General Assembly at the second summons within the time limit and with the formalities laid down in the preceding article, in which case the Assembly shall be carried out with the members attending. Statutes have set a special quorum. Twenty-fifth article: The reform of the statutes, the early dissolution of the society, sale and assessment of real estate society, they will require a majority of, at least, two-thirds of active and honorary members present. Article twenty six: Each active member and fee shall be entitled to one vote. Article twenty seven: The deliberations and agreements of the General Assembly shall be recorded in a special book of records, taking the Secretary. The minutes shall be signed by the President, at least three members appointed by the Assembly and the Secretary. The minutes may Assembly attendees stamp claims that they consider relevant for procedural defects relating to citation, establishment and operation of the same. Article twenty eight: Only in extraordinary General Assembly the following matters may be treated: to) The reform of these bylaws; b) The dissolution of the society; c) Claims against directors to give effect to its responsibilities under the law or the statutes; d) The acquisition, sale and assessment of real estate society, establishing easements and prohibitions or give or take in lease real estate for more than five years; and e) Those matters that the law, the statutes or the rules of procedure expressly delivered to the knowledge of the extraordinary General Assembly. The agreements set out in the letters to), b) and (d)) they must reduce public deed which shall be signed by the President on behalf of the Corporation, Notwithstanding that in a given case, the extraordinary General Assembly may grant power to this effect, one or more other persons. Article twenty nine: Powers for the purpose of constituting the quorum of the Assembly operation will be accepted, with the right to speak and vote. For these purposes, along with the letter referred to the 20th article first, a proxy form will be forwarded, which will be filled by active member, in your own handwriting. This mandate may be granted only to another Member active or honorary. society, in accordance with the law, the statutes, Regulations and agreements of general meetings. Only those members who have the quality of assets or fees may become part of the directory. integrate a President, a Vice President, a Secretary, a Treasurer, the President of the previous year and four directors. They shall be appointed by the General Assembly every two years, ballot in which each Member shall vote by one person for every charge who must provide. They will proclaim elected to those in a same and unique vote arising with the absolute majority of votes in each position. If no candidate obtains absolute majority, will repeat the vote only among candidates who have obtained the first two relative majorities. In case of tie, in the first or second vote, shall be elected to the oldest partner and if the tie persists, the older. In case of death, absence, waiver or impossibility of a member of the Board for the performance of their office, the directory will appoint you a substitute to complete his period. Refers to the absence or impossibility to constitute one causal vacancy in the office of director, When they are extended for a period longer than six months, without cause. Thirty-second article: Powers and duties of the Board are: to) Direct the society and ensure that met the statutes and regulations and the aims pursued by it; b) Manage social assets and invest their resources; c) Approve work programmes and provide financing due. d) Propose the amount of the ordinary and extraordinary fees, for adoption by the General Assembly. e) Summon general meetings of partners in the manner and time pointing the statutes; f) Write the necessary regulations for the better functioning of the society and the various departments that are created for the fulfilment of its purposes, and submit these regulations to the General Assembly for approval; g) Render an annual account to the ordinary General Assembly on the progress of the society as the investment of their resources, using a memory, Balance and inventory which shall be submitted to the approval of the members at that time; h) Qualify, accept or reject the inclusion of partners in any of its qualities; e i) The others that confer them these bylaws. society or establish easements and prohibitions or give or take on lease real estate for more than five years. required for implementing economic measures that are agreed and requiring the internal administrative organisation of the institution. The agreement that authorizes the delegation must have as the absolute majority of the members of the Board vote. Thirty-fifth article: Agreed by the Board of Directors any act related to the powers indicated in the thirty-third article, It will conduct the President or who subrogated in office. The above is understood without prejudice to, in a given case, agreed that the President will act jointly with another Director, either, granted you to special to a third party for the implementation of an agreement. The President or the person or persons designated, they must strictly adhere to the terms of the agreement of the Board of directors or the General Assembly, in your case. every three months . The quorum for the transaction of business shall be five members at least, and agreements shall be taken by an absolute majority of those present, unless the by-laws required a special quorum. In case of tie, will decide the vote of which presides over. recorded in a special book of records, that it will be signed by all the directors who had attended the session. The Director who wanted to save its liability for any act or agreement, You must demand leave evidence of their opposition in the corresponding act. Article thirty eight: In the first session that celebrate the directory after his election, set the days, time and place of regular sessions, without prejudice to later change them, If operational needs so require. General Assembly; e) Appoint commissions of work deemed suitable; f) Signing own cargo documentation or that they should represent the company; g) Realizing in the ordinary General Assembly on behalf of the Board of the March of the society and the financial status of the same; and h) The other powers pointing these bylaws. faculties that points first subparagraph of the seventh article of the code of Civil procedure, and may confer special to a lawyer so put them on your behalf in certain matters. For the exercise of the powers provided for in the second paragraph of that article, It will require prior agreement of the directory or the General Assembly, in the event that in the case of matters reserved for its knowledge. When the President granted powers related to the judicial or extrajudicial representation of the Corporation, they must be always of special character and for certain matters. Article forty-one: The Vice President shall subrogate to the President in case of absence or inability of the, the powers indicated in the two previous articles. It will be considered absent or incapable President, When you are prevented from exercising responsible travel away from Headquarters, prolonged illness or similar circumstances, for a period not exceeding six months. If the absence or inability to be superior to that period, will cause the vacancy of the post and will be replaced by the Vice President, until the next ordinary General Assembly, which shall proceed to elect the new President. SIXTH TITLE: The Secretary and the Treasurer. Bring the books of proceedings of the Board and general meetings and the book of registration of partners of the company; b) Dispatch citations to general assemblies as the 20th article first; c) Form the directory boards and general assemblies, in accordance with the instructions of the President; d) Authorize with your signature society documentation and correspondence of this, with the exception of one that corresponds to the President and to receive and dispatch the general correspondence; e) Authorize to sign copies of the records requested a member of the society; f) Call on the members of the society to designated candidates at least thirty days prior to each election and g) In general, comply with all of the tasks that assigned the directory, the President and the statutes. keep up to date the commercial documentation of society, especially the file of invoices, receipts and other vouchers entry and exit; d) Oversee the preparation of the Balance that the Board must propose annually, for approval to the annual General meeting; e) Keep up to date an inventory of all the assets of the society; f) Oversee the counter functions and other people in society who should play in the work of the economic and financial; and g) In general, comply with all of the tasks that assigned the directory, the President, statutes and regulations, related to their functions. following: to) Revise annually the accounting books and records entry and exit that the Treasurer must display them; b) Inform the directory in ordinary or extraordinary session on the progress of the Treasury and the financial progress of the society and give an account of any irregularity which opened to make it, immediately, the measures that correspond to safeguard the interests of society; c) Raise a report in writing to the ordinary General Assembly, about the finances of the society, on the way in which the Treasury has taken during the year and on balance that the Treasurer shall submit the annual exercise, recommending to the Assembly its approval or rejection; d) Check the accuracy of the inventory. The inspectors of accounts will last two years in office, and can be re-elected indefinitely. They shall be elected by the General Assembly, opportunity in which each partner will be voting by a single person, proclaiming themselves elected to the same and only vote those who are with the largest number of votes, until the two positions to fill. In case of tie, in the second place, It will be chosen the oldest partner and persist the tie that partner who has older. Active members or fees other than directors and have, at least, three years in the society, It shall have the powers pointing to it by these statutes. Inspectors of accounts. The members of the Board of ethics and discipline will last two years in office, and may be reelected. Article forty-seven: In the event of resignation, death or inability for more than six months of some of the members of the Board this will appoint the replacement, for the period remaining to the replaced. Article forty-nine: The Board will be held with the absolute majority of its members and shall adopt its agreements by an absolute majority of attendees. In case of tie, will settle who presides. disturbing. Room.- By entering the society using the data and/or false history. Fifth.- By arrogate to itself the representation of the company in order to obtain personal benefits and with his attitude is causing harm to the same; Sixth.- In the case of members of the Board, by overreach in their duties or in the exercise of its powers jeopardize seriously social and economic integrity of the society; and seventh, for the non-payment of social contributions for two or more years. The Board of ethics and discipline can publicize, If deemed suitable, measures of suspension and expulsion. Fifty-second article: The application of the disciplinary measures specified in the preceding article will not give any right to the sanctioned to demand the return of the money that has entered the society for any reason. in writing and duly identified. mentioned in the previous article, the Board will be mentioned to the o to the accused by registered letter to the address that is registered in the society, to a hearing no earlier than ten days and not later than twenty, the date of initiation of the procedure. charges against and the date, time and place of the hearing. If the accused fails to appear at the first citation, It will be mentioned to a second hearing, which will proceed with their presence or their rebellion. orally and take the tests as it deems necessary. five business days, with the disclaimers and evidence of the accused, or without them, the Board of ethics and discipline, If there is sufficient merit, you dictate a resolution proposing the application of any of the disciplinary measures provided for in the statutes to the directory. Tests will be evaluated in consciousness and the resolution shall be founded. Article fifty eight: The resolution of the Board, to propose the application of a sanction, will be forwarded to the directory, for this at the next ordinary meeting and within a period of five working days, to rule and dictate the bug, immediate enforcement, without prejudice to the appeal in its case. Article fifty nine: The disciplinary measures of expulsion and suspension may only be adopted by unanimity of the present members of the Board. Sixty article: The sanctioned partner may appeal for to the General Assembly within a period of fifteen working days of notified the failure, Notice that you must practice in the way established in the subsequent article. For these purposes, the directory in the next ordinary General Assembly shall contain appeal in table. Disciplinary measures, knowledge will be in the most immediate General Assembly which is held, with the exception of the private reprimand. Article sixty one: The Board can the circumstances of the case, previously suspended the accused, at any stage of the disciplinary process, realizing it to the directory. sanction. Notifications shall be made by registered letter to the address that is registered in the society and will be deemed as practiced at the fifth business day following of placed the letter in the post office, and the Secretary of the Board certify in the record the date of the deposit. The expelled member may request reinstatement to the ordinary General Assembly, the directory through, After one year of the notification of the measure. The Member expelled for breach of its pecuniary obligations to society shall pay the entire amount owed. of any kind, the society to acquire any title, f) Incomes and interests that produce goods of society. Article sixty four: The reform of the statutes is subject to the following procedure: to) The respective project will be released to the members of the society with, at least, a month of anticipation to the date of the extraordinary General Assembly, which must meet the reform and will be accompanied to the certified letter in which cite to the Assembly, b) So reform is approved, It must be agreed by two-thirds, at least, of active and honorary members present at the extraordinary General Assembly; c) The Assembly that approved the reform of statutes must count with the presence of a notary public, who must certify that all the formalities required by them to pass a reform of statutes have been met. THE FIRST TENTH TITLE: General provisions. Sixty-fifth article: Meetings, activities or demonstrations that check at any of the premises, premises or premises of the company or under the auspices or sponsorship of this, they will never have political or religious nature, and they may have only intended for the purposes of the society. Article sixty six: By the mere fact of being a member of the society members declare to know and accept their statutes and regulations and undertake to comply with them. January and ends the thirty-one December each year. Extraordinary General Assembly, adopted by two-thirds, at least, active members and fees-present. This Assembly shall be held in the presence of a notary public, who must certify that all the formalities required by the Statute to approve the dissolution of the society have been met. Article sixty nine: Approved the dissolution or arranged it by the authority, the assets of the society will be to increase the heritage of the biology society of Chile. TRANSITIONAL PROVISIONS: Article 1 transitional: While not issued a special regulation, the elections which are to be in society, They shall follow the procedure designated in article thirty first of statutes and other relevant provisions thereof. Second transitory article: Record that the temporary directory of the Chilean society of evolution, shall consist of the following persons. President: Ramon Eduardo Palma Vasquez, National identity card number no. 8.597.542-0; Vice-President: Rodrigo Medel Contreras, National identity card number no. Figueroa, National identity card number 8.465.038-2; Andrea Silva Baez, National identity card number 13.052.794-9; This directory will remain in office until the first meeting that the Corporation, Once obtained the legal status. Third transitional article: The text that this public deed realizes has been drafted by Attorney don Jaime Altamirano Palma, who duly empowered, It has been modified or corrected the original text, Welcoming remarks by the Defense Council of the State through the Ministry of Justice.